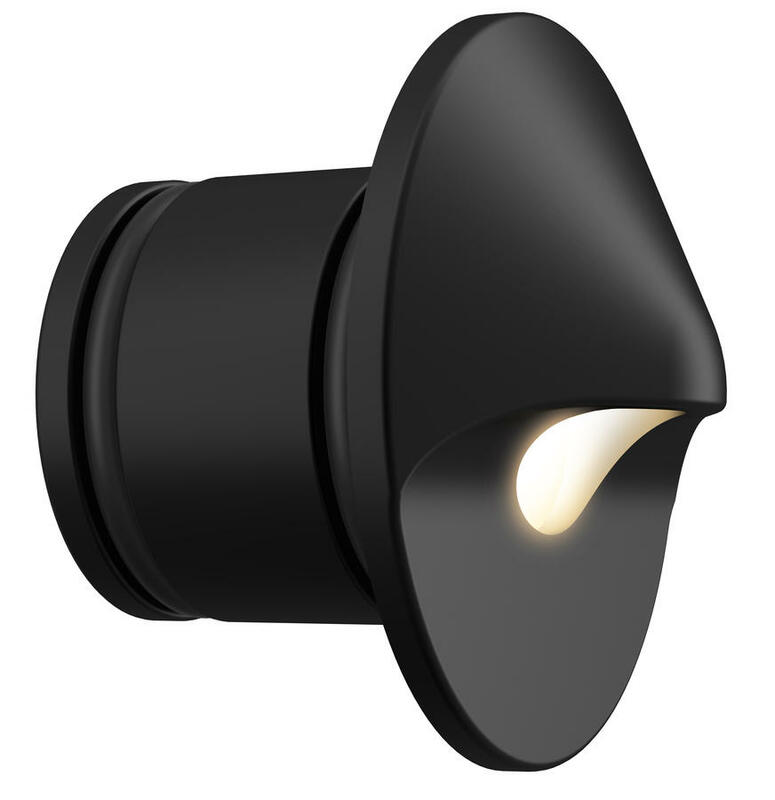 Glare-free wall light can also function as an up light in 1 LED. 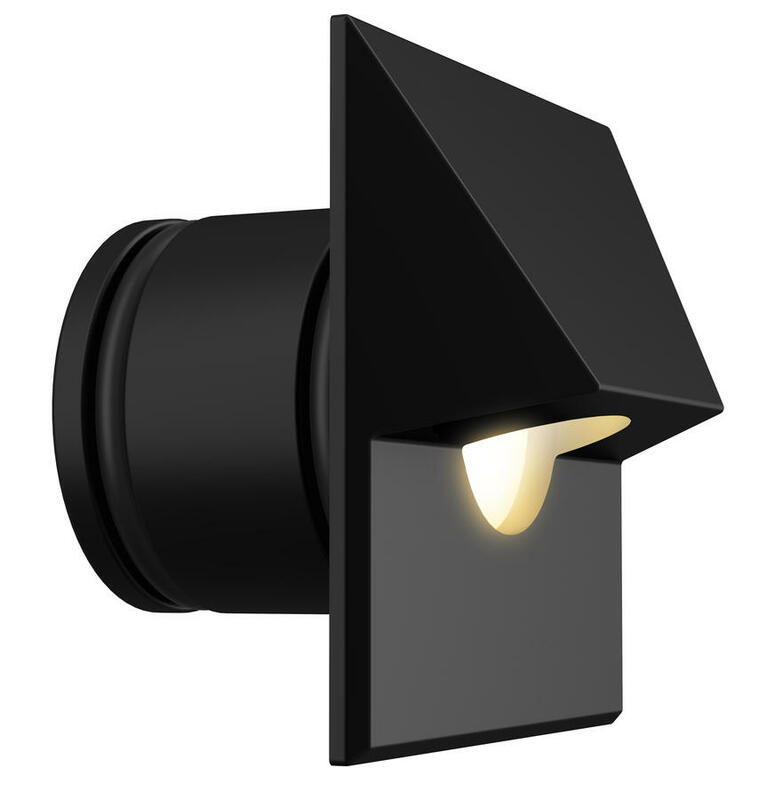 Available in 4 faceplate options in brass. 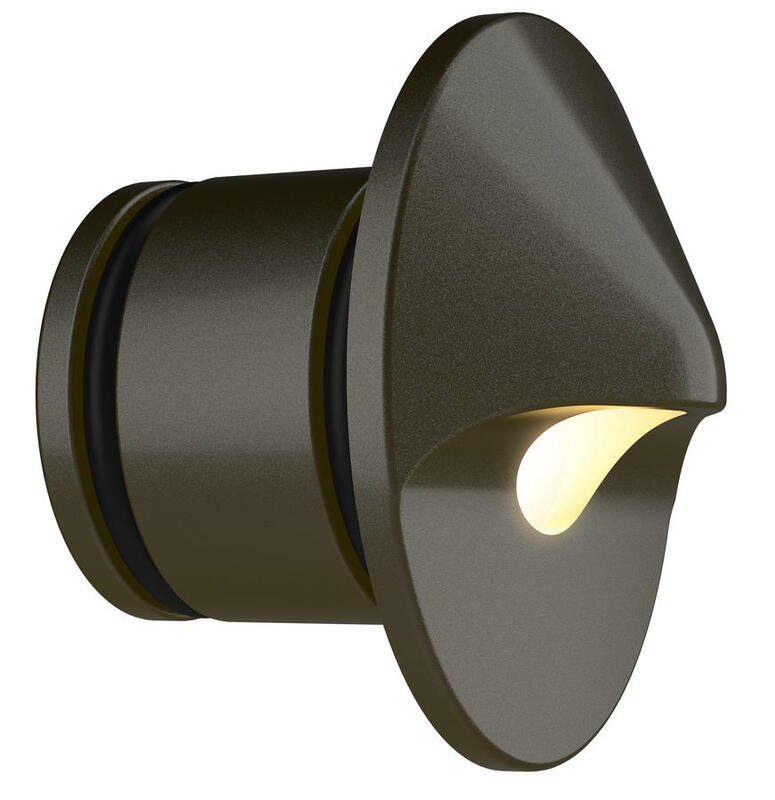 Die-cast C360 brass faceplate, A380 aluminum housing, ABS construction conduit sleeve. Polycarbonate color temperature adjustment lenses included with fixture: 2700K (preinstalled), 3900K (no lens) 4500K, and 5200K. 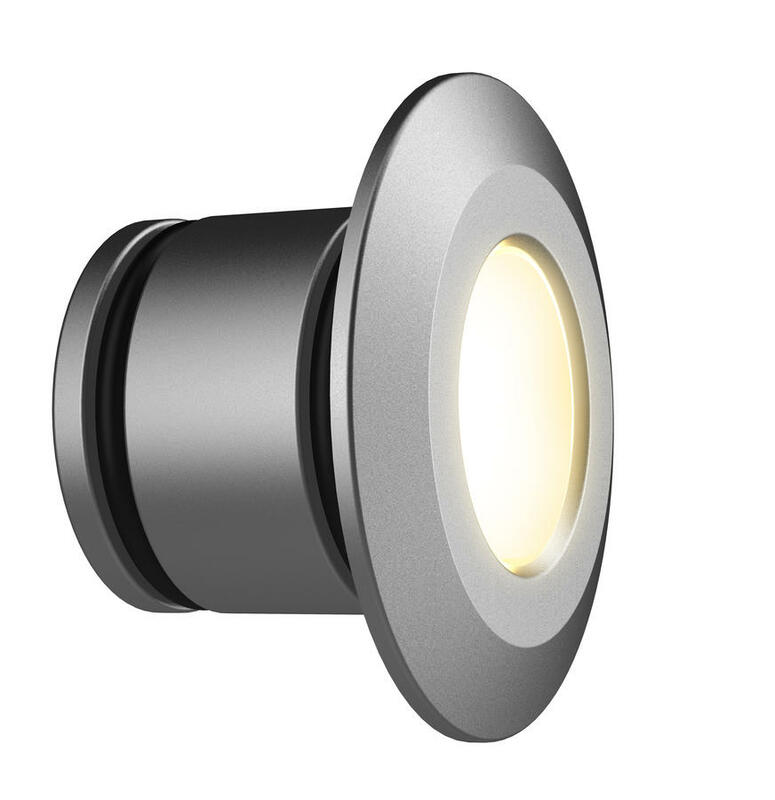 Color temperature lenses field serviceable. Beam angle is calculated using LM-79 method for SSL luminaires. 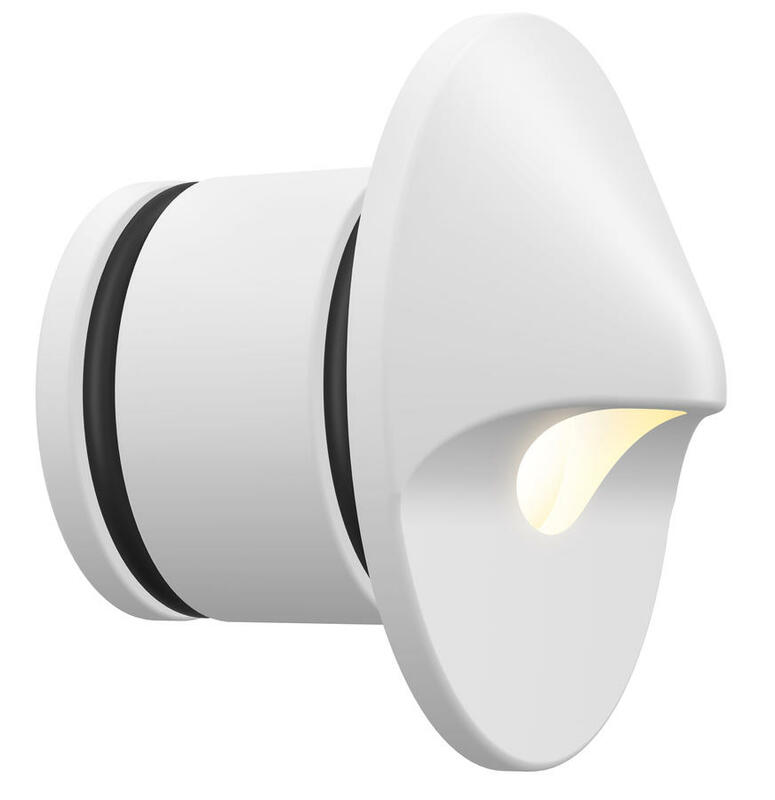 Socket contains MoistureBlock™ technology, preventing moisture from wicking up into sealed areas of the fixture. 18 AWG SPT-1W 105° C 300V 3.0-meter length. Input 10-15VAC/VDC 50/60Hz. Remote transformer required (specify separately). 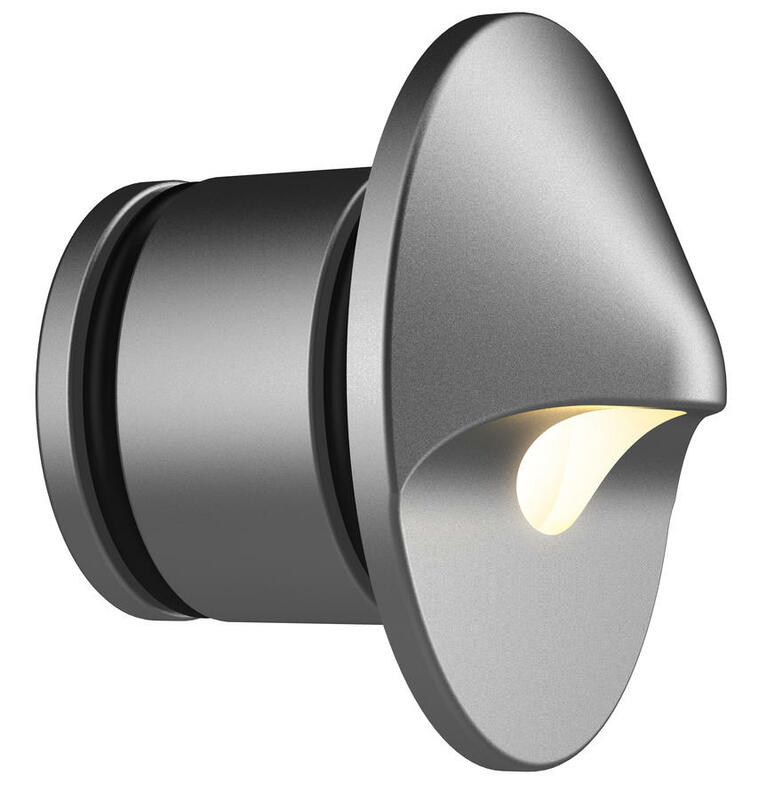 Die-cast aluminum housing with capacity for 1LED integrated LEDs. 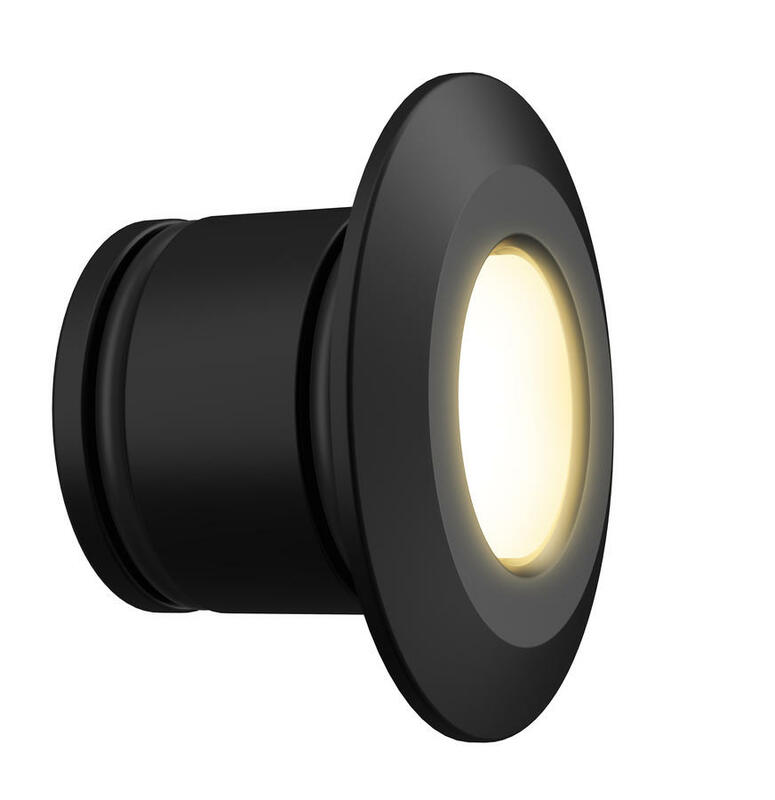 Plastic lens with shock resistance and high tolerance for thermal expansion and stress. Options of natural brass finish, antiqued finish with brushed (Antique Bronze) or tumbled (Antique Tumbled) effect, or TGIC powder coat finish. Antique finishes sealed with a clear TGIC powder coat layer. Includes 12" ABS conduit sleeve with 1/2"-14 NPT female hole for strain relief. Strain relief specified separately. ZDlink or ZDClink utilizes Luxor® technology to zone light fixtures in up to 250 groups, dim each group in 1% increments between 0 and 100%, or change to one of 30,000 colors with RGBW LEDs. 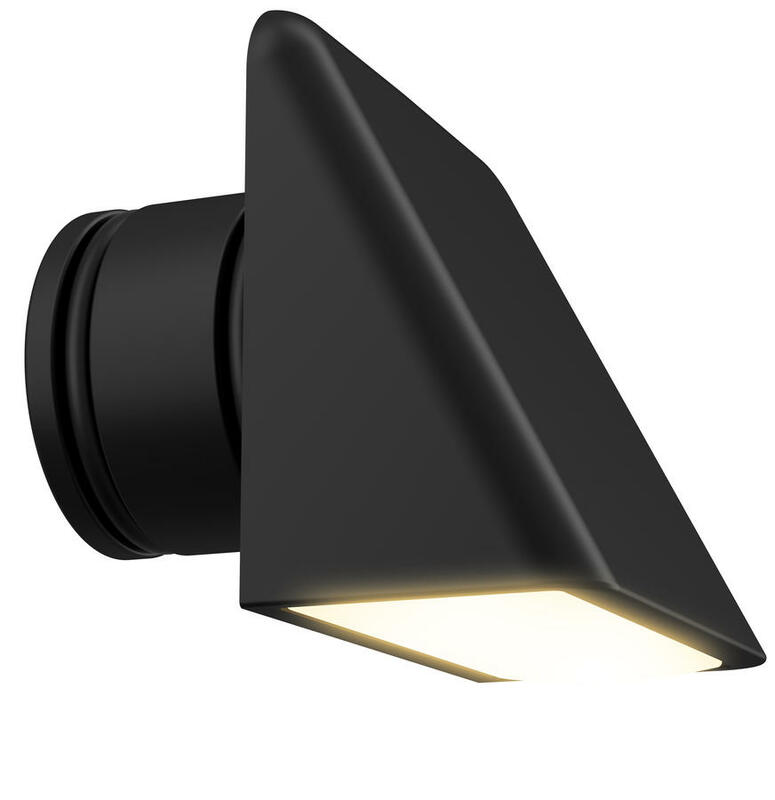 Select the ZD option for zoning/dimming or ZDC for zoning/dimming/color. 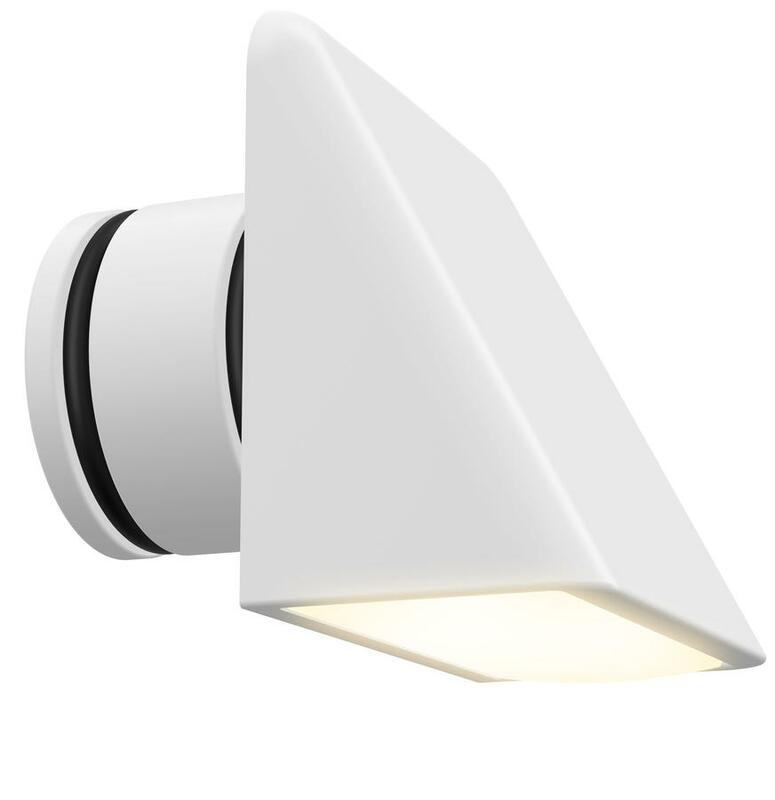 Standard fixture is zoneable with ZDlink or ZDClink. Innovation meets conservation in the design and manufacturing of our products. Where we can, we use recycled materials while maintaining the highest quality and functionality. 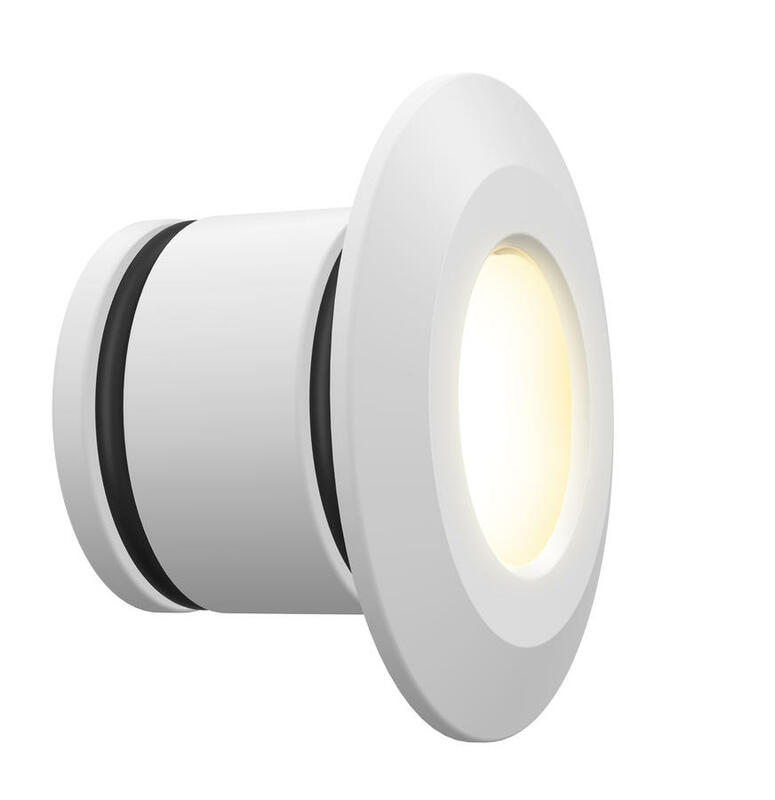 Our LED products provide high quality light at optimal energy efficiency, lifespan, and durability. 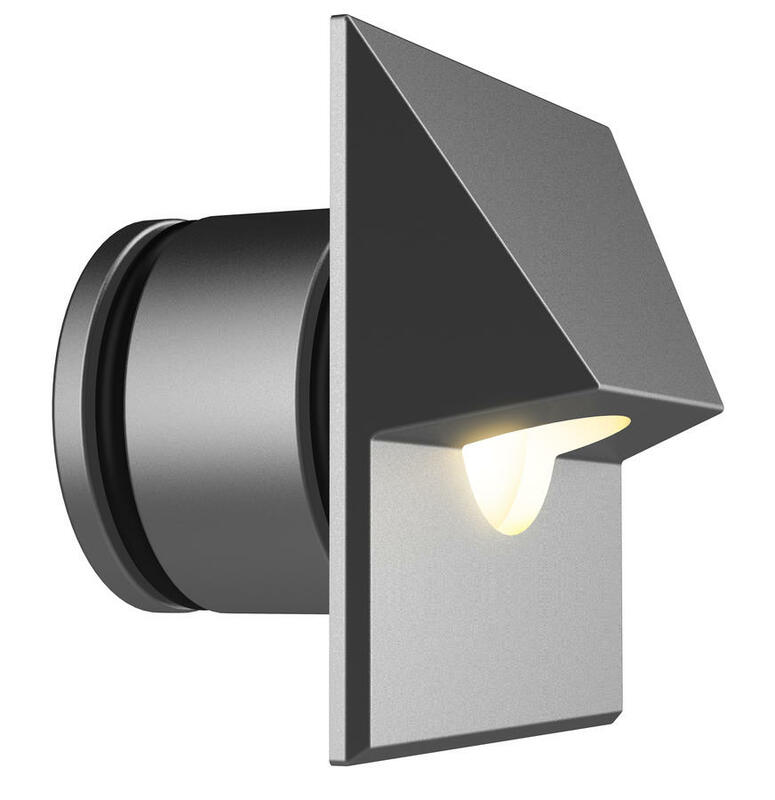 RD & SQ – Designed for recessed installation in a vertical wall in the down lighting position only. 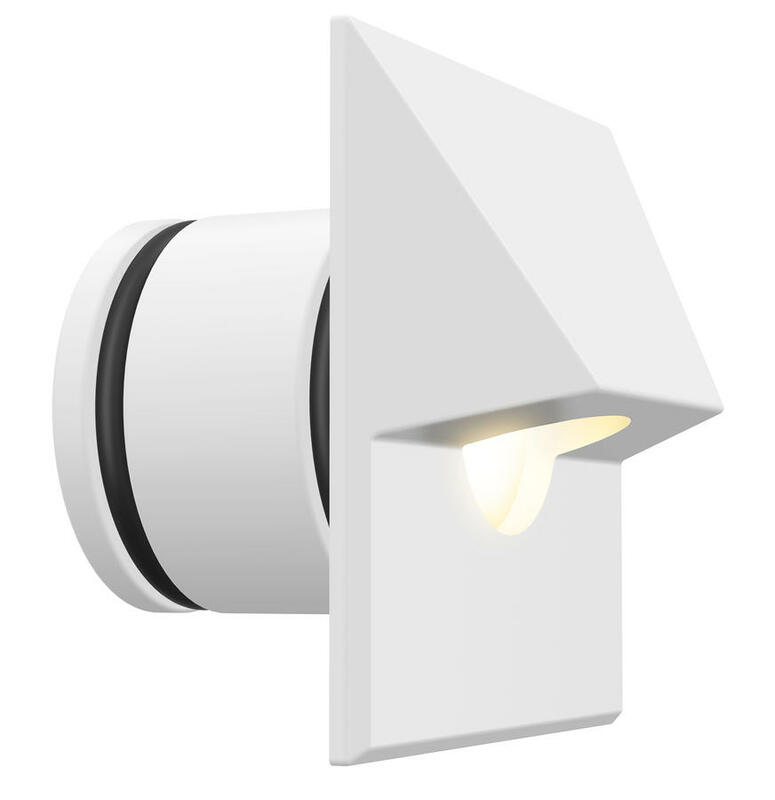 WW – Designed for recessed installation in a vertical wall in any orientation. 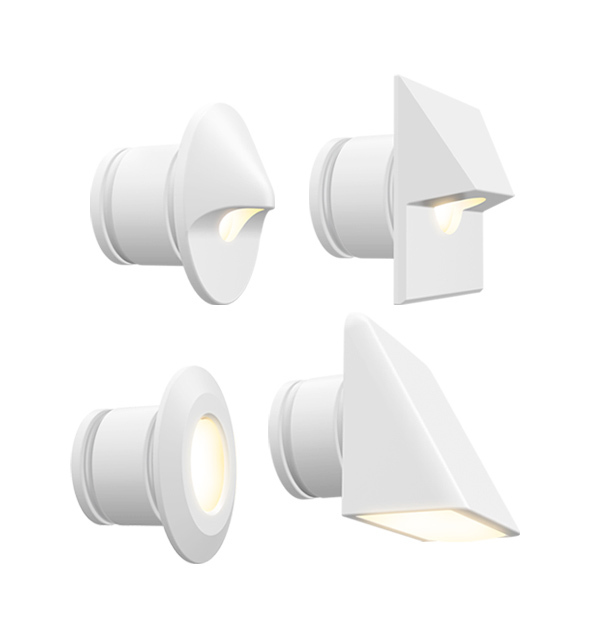 ST – Designed for recessed installation in a vertical or horizontal wall; ensure substantial drainage flow for up lighting (e.g. decking).